How to think and create like an inventor. book deck: How to think like an inventor. 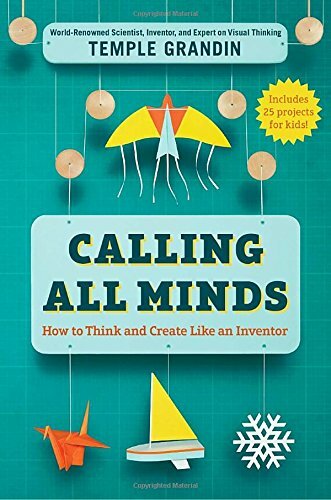 From world-renowned autism spokesperson, scientist, and inventor Temple Grandin — a book of personal stories, inventions, and facts that will blow young inventors’ minds and make them soar. More than a blueprint for how to build things, in Calling All Minds Temple Grandin creates a blueprint for different ways to look at the world. And more than a call to action, she gives a call to imagination, and shows readers that there is truly no single way to approach any given problem–but that an open and inquisitive mind is always key.